It's pretty clear now that everything delicious in LA comes in truck form. 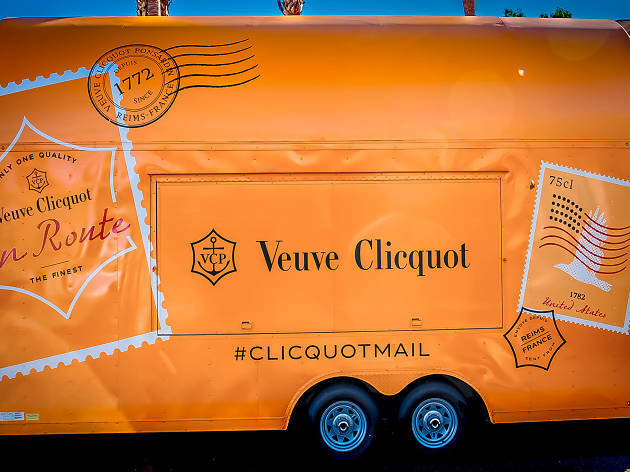 To add to the fleet of fabulous food and specialty trucks in this town, Veuve Clicquot is taking their cross country mail truck tour to our sunny city, handing out flutes of the iconic champagne. 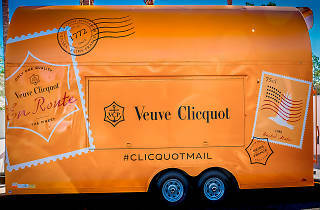 On Friday, June 26, their bright yellow truck will be at Santa Monica's ShoreBar from 8-11pm, where guests can pick up a Veuve Clicquot selection at $20-$25 a glass. Pour yourself a fine bubby like Yellow Label or Non-Vintage Rosé, alongside tasty morsels like caramel and curry popcorn. Don't forget to hit the photo booth, while listening to sweet, sweet beats from the resident DJ. Sometimes the finer things in life arrive on four wheels.